In late 1970, when I first returned to the US after spending 7 years in the oil business in the Caribbean and South America, I started my own creative communications agency. Obviously I was mostly an unknown both as a person and as a professional. When I would meet somebody I would ask him or her their date of birth. It was not only to add them to my birthday card list, which I did also. I knew that in about 20 seconds, I could calculate their life purpose number and know in which emotional year their life was unfolding. This is an enormous amount of valuable information when you know how to use it and it is simple to use effectively. 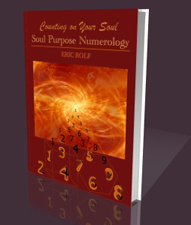 By knowing the life purpose number you know what are their principle drivers and hot buttons. By knowing their emotional year you have a clear idea of what types of ideas and experiences they are currently having. Pythagorian Profiling is an art/science with which I indeed did have experience. It had been a useful tool in my professional communications activities for years, especially when meeting new people and having to know and relate with them quickly. Quickly recognize and easily allow yourself to leverage the most potent force on Earth. you can possibly know more about what is really important to them than they do. It is both amazing and gratifying that by just being able to count from 1-9, in 30 seconds or less you can have an enormous amount of useful, empowering information available by simply knowing a person´s complete date of birth. The answer is in the kind of Pythagorean Profiling information described in the ASPN Course material. How did this approach affect my business? Well, for one thing, I became quite solicited by political candidates and organizations, as a strategist and communications adviser. The power brokers quickly realized how valuable this information was to them achieving their goals in terms of motivating people toward specific choices. In the 1972 local elections I handled 6 different candidates for County Sheriff (1), County Commissioner (2) Mayor (1), Juvenile Judge (1), County School Board (1). All won except one, he was a black man running in a predominently white and latino county in the south and lost after forcing a 2 time incumbent into a second runoff ballot. i.e. he had no realistic chance, however through Pythagorean Profiling we were able to align him with values and activities that supported his candidacy most effectively and it almost resulted in an upset. Personally, he became well known and recognized as a community leader whereas earlier he was a complete unknown. People Become Interested in YOU and in What You Do. The second thing was that more and more groups and organizations became interested in hearing me speak about the human factor, the creative and communications process, and how Pythagorean Profiling could be a key to improve personal and professional relationships at every level. My personal and social life was flowering as well. Remember, I, too, was a complete unknown in the area when I returned from South America, but through Pythagorean Profiling I was able to get to know people quickly and to align with the common values we shared. Today this is called effective networking. In one instant I worked with a unique client who had just bought a group of 15 small companies, all of which were losing money. The first strategy we developed was one of using Pythagorean Profiling to restructure these companies, creating a good personal support base for the principal executive. These were all small companies of between 3- 20 employees. Within less than 18 months all were operating in the black and showing varying degrees of profitability. Yes, Pythagorean Profiling works and it is a tool that is instantly at your fingertips. The test of both the validity and usefulness of the information, of course, begins with one´s self. Very quickly you will notice how the descriptions do indeed apply and reflect your own fundamental approaches to life, its challenges and its mystery. Just tell me your date of birth. The results will be convincing; and there´s no rush. You have our 60 day Money Back guarantee to test this information against your own life experience and that of your family and friends. 1-You, and all the different viewpoints you hold about Your Self, Your Self Acceptance, and Your Life Experience. Your Spiritual Adventure or journey through life will benefit from insights that allow you to connect with life´s flow and human potential or “loverage” You will be amazed at how much sense your life makes. 2-Your Friends, Family, Professional Colleagues, and Associates will benefit from enjoying better communications and higher levels of understanding on your part about where they are coming from. It is like truly meeting and knowing them for the first time. 3-Your Clients and Customers will appreciate the fact that you can speak in terms which they not only understand but which align with their personal values. You can gain their trust quickly and keep it. 5-Your Career will benefit as you choose activities for which you have a talent as well as an inner connection and enthusiasm. When joyfully motivated, you are unstoppable. 6-Your encounters with strangers will benefit from becoming spontaneous as well as casually intimate and stimulating. You can quickly gain friends and become one as well. 7-You will benefit and empower yourself and others from quickly knowing and being able to put in action your purpose in life. There is no greater personal satisfaction than aligning with and expressing your life purpose and misión. Move toward pleasure and let gratification move toward you. You will be amazed at how much sense your life makes. When you can align with their personal values, you gain their trust quickly and keep it. When joyfully motivated, you are unstoppable. You can quickly gain friends and become one as well. There is no greater personal satisfaction than aligning with and expressing your life purpose and misión.